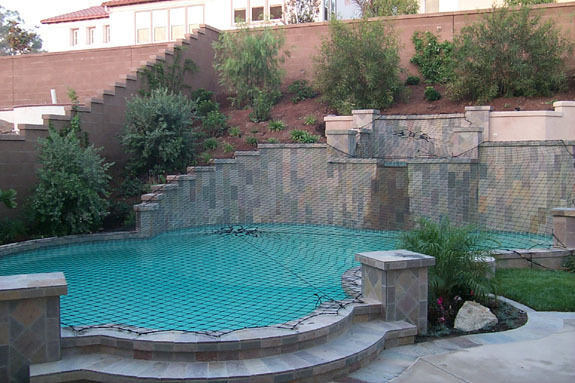 Shown above is a solid mesh pool safety cover showing a raised spa, while below is a net cover with raised spa. 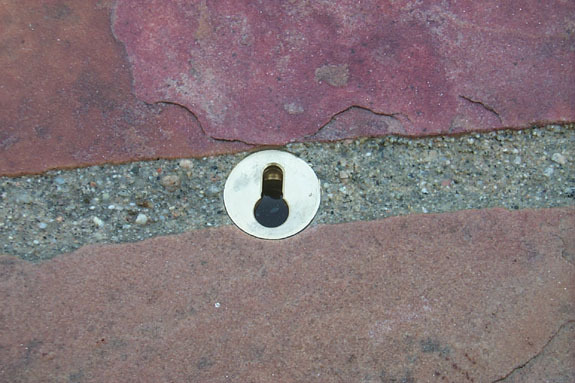 Both covers require anchoring directly into the deck. The cover above allows water to go through, but leaves and debris blow away. 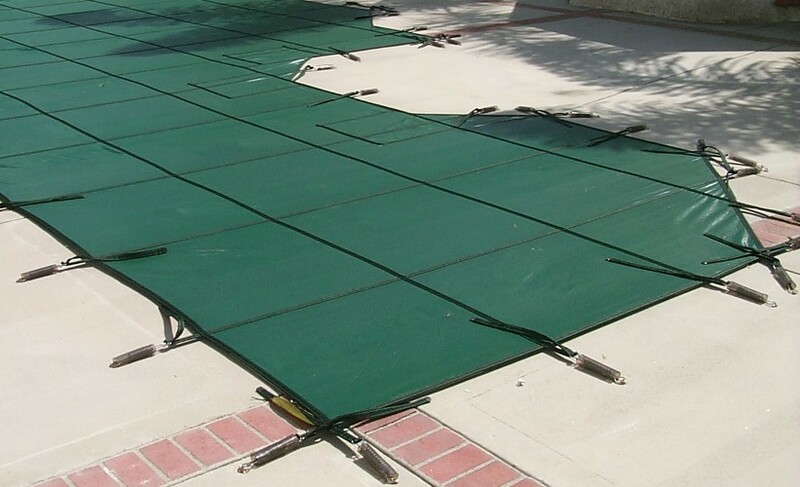 These covers, made of polypropylene, have a 10 year warranty. They come in green, blue, and black. 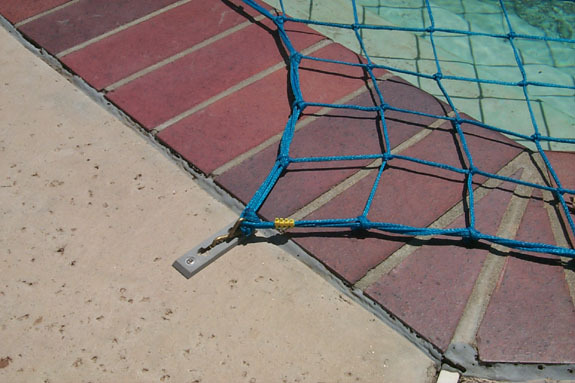 These covers can take 20 minutes to remove and 30 minutes to install, so are most ideal for areas that close down the pool for winter. 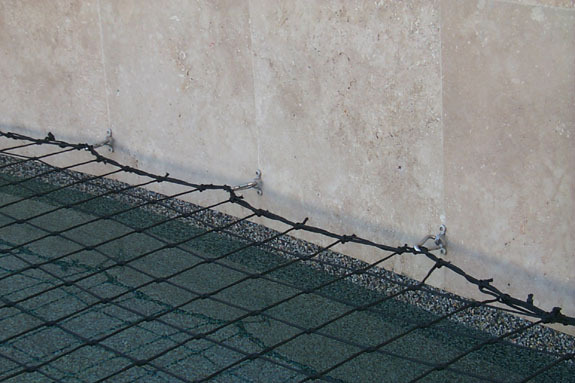 The net barrier below can be removed in 5 minutes and installed in 10, so they are more convenient than the mesh style above. The large openings allow you to see the bottom of the water at a glance - also the large openings are too large for a child to walk or play on, but too small for the child to fall through. The nets have a 5 year warranty. Contact me with your information for a free estimate if you are interested in this type of cover. At the bottom of this page is a link to automatic safety covers.